The pinnacle of our poly line and millions plus sold! Everywhere the Sure-Shot team travels, someone tells a story of how this was their first call! The Sure-Shot 650 is a legend in the duck hunting industry. 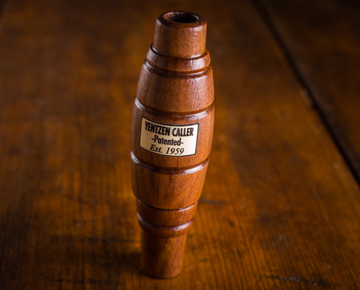 Born from our YENTZEN Classic double reed, but with more volume, which has taken it to the next level with a unique sound chamber in the poly body.